Serena Williams has become the spirit animal for every bride who has EVER wanted to spend her wedding or her bestie’s in complete comfort. She wore a pair of custom Nike Cortez sneakers for her own wedding last November, and rocked another pair of kickass kicks (this time, from Italian fashion house, Valentino and its baller Creative Director, Pierpaolo Piccioli) for the royal wedding this past weekend. 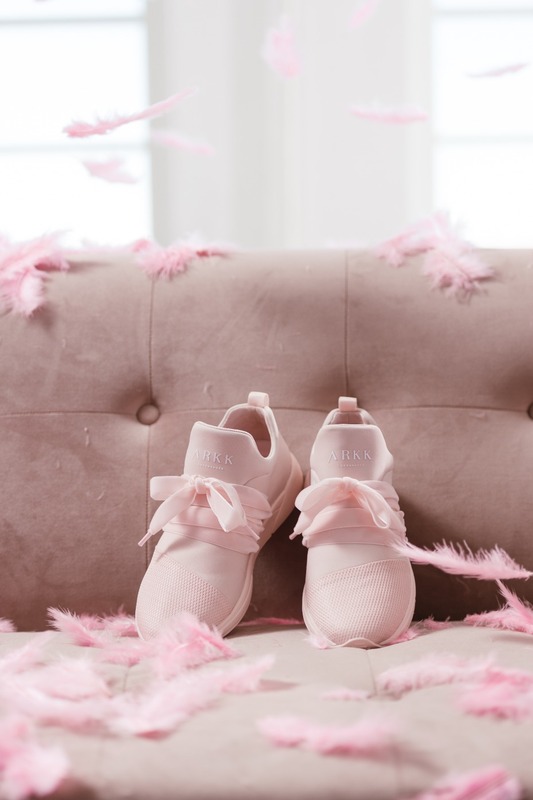 In an Insta post from the day, ReRe noted “I told him be careful I tend to be comfy for long nights #beingserena.” And that’s exactly what ARKK Copenhagen is aiming to do with its latest girls-only iteration of one of its most iconic shoes to date. The Nordic streetwear-centric sneaker brand sponsored this post to share some specs on the newly-debuted Raven Mesh Velvet S-E15. And brides, if you’re on the hunt for something cozy to wear on your feet, this is the ONLY pair you should ever consider. But before we get into everything we love about these babes, just take a sneak peek at their look 👇We are obsessed. 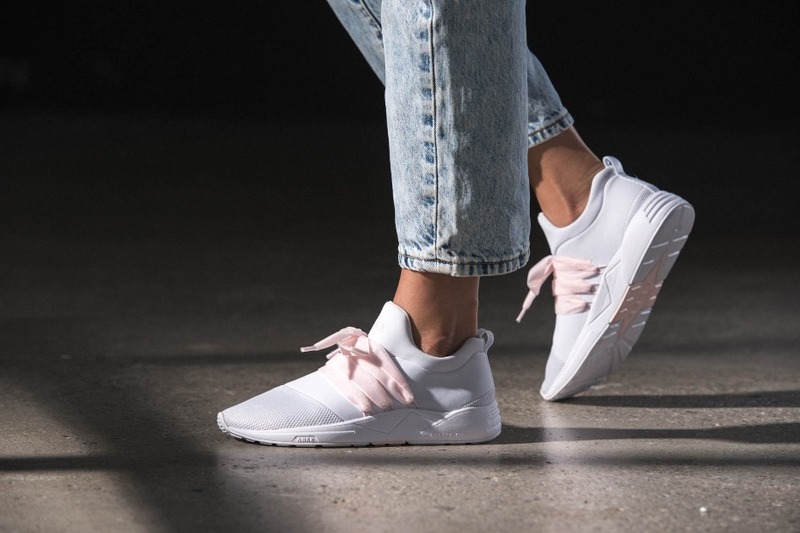 From jump, they are one of the sleekest, sexiest pairs of sneakers we’ve ever seen; they ooze ARKK’s ultra-luxe minimalist aesthetic, and are fiercely feminine. 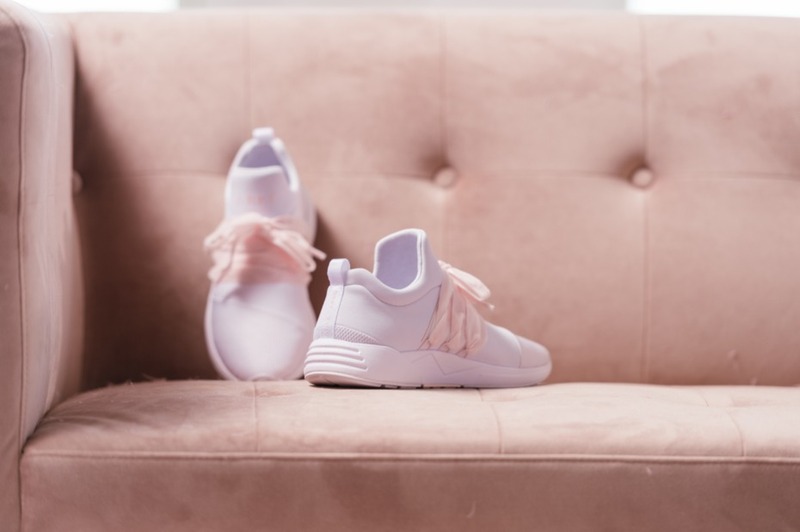 Those millennial pink laces (which are velvet, BTW), though… they are MAGIC!! Why should brides be running out to get them? Not in the least! These sneaks have wearability for days, and you don’t even have to be a bride to rock the vibe. Although, for the purpose of this post, we’ll say you do 😉. No, really, apart from being a shoe that every blushing bride can feel good about stepping out in on her special day, they can work, too, for all the pre-wedding events - and those where athleisure looks are not only welcomed, but encouraged #bridebeastmode material 💯. Both can be worn under/with a white dress, but here were a few of our own ideas about styling for those all-important ‘I Do’ occasions! And feel free to throw them out the window, they’re just some thoughts. Pics with your person and your new photographer shouldn’t be anything but blissful. So, if you’ll be having the session at the park or a seaside boardwalk, consider a daytime look that’s dynamic. A girly dress + casual sneakers go great together, as does a cute jumpsuit or romper and the Ravens. Wear a cool-girl leather skirt with a soft, white blouse, and throw on the white soft rose kicks for a look that is so next-level to celebrate your future nuptials. If your brunch or bridal lunch is happening this summer, think about a fresh, feminine look with a long white or cream cotton or linen maxi that can be mixed with the rose soft white sneaks. You could achieve the same with a chic monochromatic shift dress, too! Walk into the airport looking fun and flirty for your last fling in skinny jeans or straight crops with either pair of Ravens on your feet and a cute tank with your so-engaged status spelled out. Shop the sneakers now! 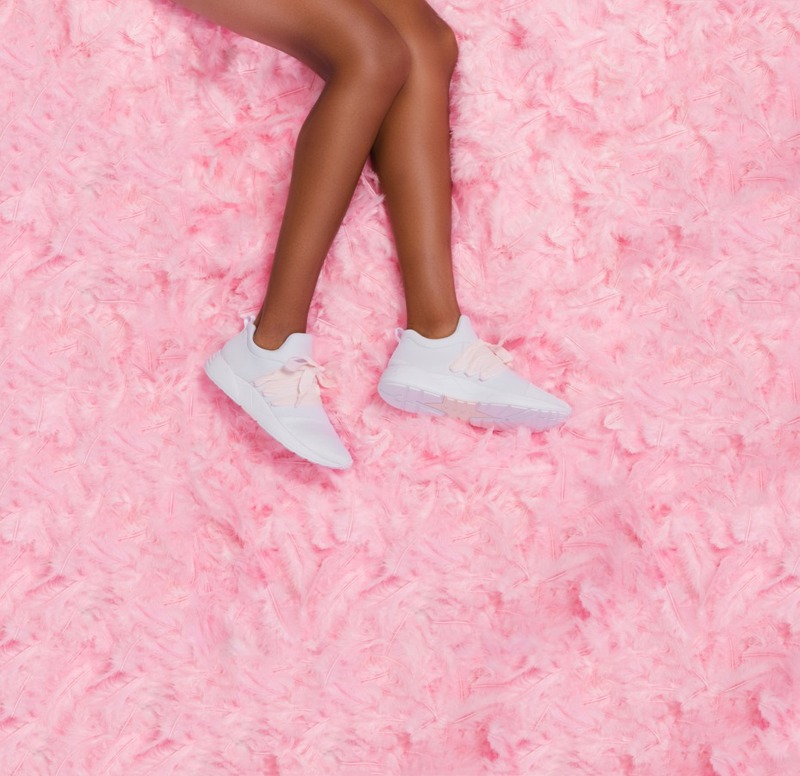 And follow ARKK Copenhagen on IG to see how these Scandinavian sneaks slay IRL. 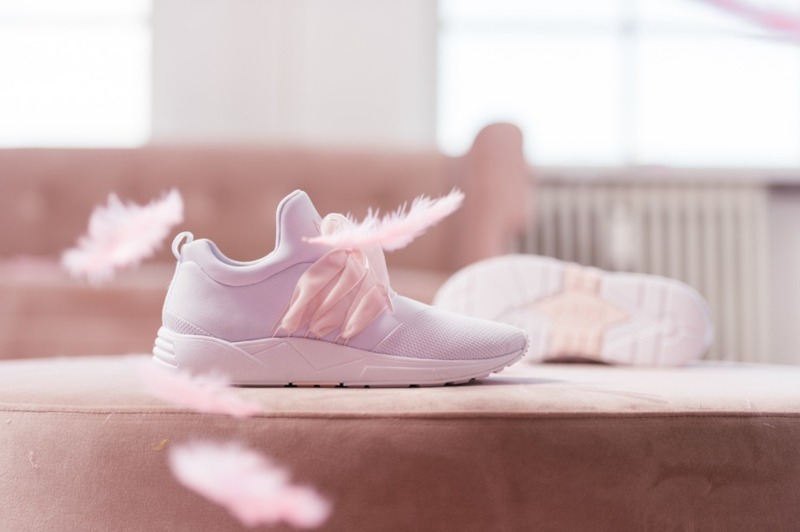 We partnered with ARKK Copenhagen to give our brides the scoop on the sneakers they’ve been sole-searching for for their special day! As always, thank you for supporting our sponsors!